In today’s world, it seems that having a healthy and successful marriage is rare. 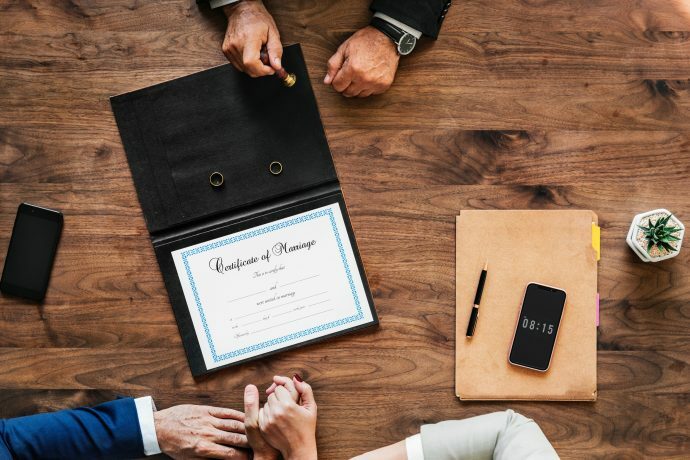 With divorce rates on the rise, stories of failed relationships and cheating scandals all over the media, it seems as if being married is pointless or next to impossible. So what do you do to beat those statistics, to break out of the mold and be in a successful marriage? Well, let me say now it’s not easy. There’s no shortcuts or an easy way to get there. It takes work and effort from both parties. However, there are no “big” things or a certain way to have a healthy relationship. It is an accumulation of lots of “little” things. Sounds simple enough to do, right? Well, it is! 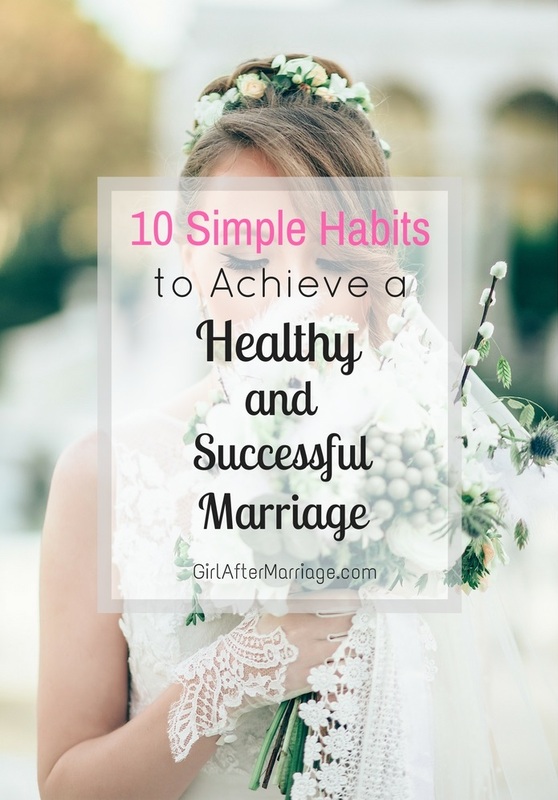 There are lots of tips and advice out there on how to have a successful marriage, but I narrowed it down to only 10 tips that my husband and I do personally in our marriage, and has worked for us and for other married couples, too! My hope is that by the time you finish reading this post, you will gain some valuable information on how you also can have a healthy and successful marriage. Depending on what your routine is like, whether one works days and the other nights or one goes to bed earlier than the other, try and go to bed at the same time. You don’t even have to go to sleep, just lay in bed together. Talk to each, read a book, do devotions, or read a chapter or two from the Bible. Get up in each other’s personal space and cuddle! It will bring you closer together and is essential for a healthy and successful marriage! Just because you’re married, does not mean you give up on taking care of yourself. Stay healthy, eat nutritious food, work out regularly. Improve yourself as a person overall and grow as individuals. Ladies, look fabulous! Paint your nails, go to the hair salon, go on a shopping spree. Know that it’s okay to treat yourself, especially if you also have a family to take care of. It’s so important to continue looking good not only for your partner but also for yourself. If you’re not happy with who you are or your appearance, that unhappiness and disappointment will begin to reflect on your marriage. However, an important thing to remember when working on yourself is not to let it consume you to the point that it is all about you. One of the aspects of being married is that it is no longer about you, but about focusing on the other person, too. There needs to be a healthy balance, where you can focus on your partner, but also take care of yourself. And the great thing is, marriage is a partnership, meaning your spouse will do the same for you! So do not fret, you will be loved, cherished, admired, and hopefully even spoiled, by your spouse in return for everything you do for him. Also, people grow and change over time, and sadly in some cases, it is used as an excuse for divorce. Growing as a person is healthy, but just because you change as an individual, doesn’t mean that your spouse is suddenly no longer a part of the “new you” and your life. They should be right by your side, watching all these changes as you mature as a person. Use kind words and actions. Give compliments often to your spouse. Let them know they look beautiful or handsome today. Give them an extra long hug and a kiss. If you want something done, ask graciously. Do not nag. No one wants a nagging wife or husband, and no one wants a mean one either. Kindness is always the way to go. Having gratitude is an essential habit to have when it comes to achieving a successful marriage. Say thank you when your husband does a kind gesture or says something sweet, or when he comes home from a hard days work, for providing for the family. Only two little words, yet they have such a huge impact. You are letting him know that all the work and effort he is doing is being noticed and appreciated. Life gets busy. The dishes need to get done, the laundry needs ironing, and the living room is a mess. No matter what is on your ‘to do’ list, know that it’s okay to press ‘pause.’ Let the dishes sit for an extra 30 minutes, and the laundry can wait till tomorrow. So what if there are pillows on the floor and dirty paw prints on the couch. Leave it. Nothing is more important to get done then spending time with your spouse. All those things can wait, but time is precious, and life is short, so spend as much time as you possibly can with each other. Just because the rings were exchanged and the wedding is finished, doesn’t mean it’s messy buns, PJs, and sweats every day. Well, yes, it sort of is, especially if you are both total homebodies and like the comfort of your home. However, another way to keep a healthy marriage is to continue dating. What?! Yes, I know, you would think that doesn’t happen anymore once your married. Dating each other keeps things moving, gets you out of your weekly routine. It’s something you can plan ahead of time and look forward to doing together, especially if you have children and need a break. Go to the movies, try a new restaurant, have a picnic in the park or go to the beach and watch the sunset. Whatever it may be, it will take you back to the days when you first fell in love, utterly smitten with each other, and thought that nothing in the world could tear you apart. Don’t you want to hold onto that feeling? I know I do. This is another one of those times where if you have different work schedules, it may be hard to have a meal together. But even if you have just one, that’s still an achievement. Whether it be breakfast, lunch, or dinner, sitting down together at the dining room table, eating a hot, home-cooked meal, brings you closer. You are interacting with each other, talking about your plan for the day, or having a general conversation. You tell stories of what happened throughout your day, discuss important things, or make plans for the future. 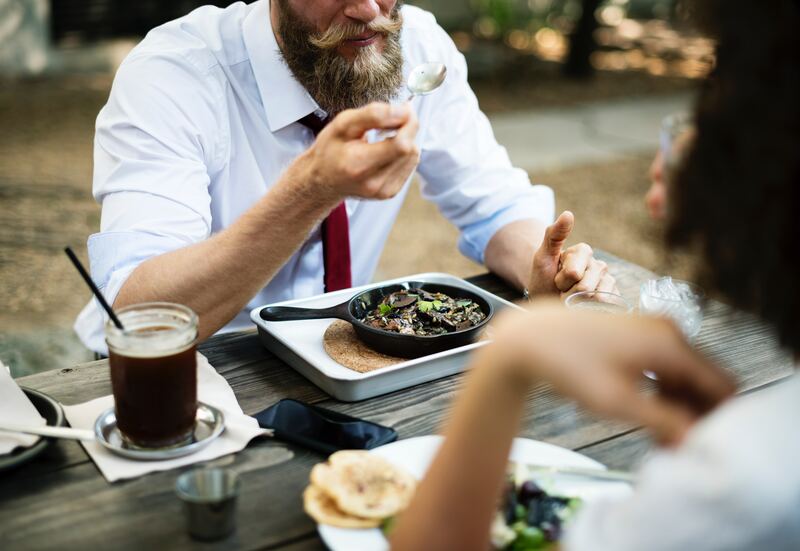 Mealtime together is an essential part of your day in keeping your marriage alive and going. This one should be easy. Your husband may have left his dirty socks on the floor…again! Forgive him. You snapped at your husband, say sorry. Don’t hold grudges, don’t drag on the apology. It is unhealthy and will make your partner feel that being forgiven or receiving an apology is a rare thing, which it really shouldn’t be. Once it’s said and done, let it go. Do not bring it back during an argument or when you are upset. That’s not fair. It’s as if you are adding a knife wound into the bubble of your marriage, letting out the air a little at a time. You don’t want it to get to the point where the bubble bursts. They said laughter is the best medicine, and it’s the same in having a successful marriage. Make jokes, be playful, and lightly tease each other. Laughter is contagious, and you feed off of each other’s happiness. It reduces stress, lifts your spirits, and brings you closer together. It releases Oxytocin, or else known as the ‘bonding chemical.’ It’s a free and natural way to bond as a couple, so no need to pay to see a therapist to ask how to grow closer together. Just laugh! I laugh every day with my husband, and half the time, I don’t even know what we are laughing at. It’s so contagious, and we have fun with each other. Sometimes we end up in tears or even on the floor. I can confidently say that laughing every day is one of the main reasons why we have a successful marriage so far. At the end of the day, it’s the two of you, and it always will be the two of you. When you need a shoulder to cry on, you turn to your spouse. You have something on your mind, your husband is there to listen. Have some exciting news you want to tell someone, there he is. The only person who will be by your side during all the good and bad times is your spouse. When you exchanged those vows, you promised to be with each other for always. If they said yes to dating you, yes to the proposal, and ‘i do’ at the wedding, they already chose you, so continue choosing each other. If at any time you decide to choose each other no longer, know that this is the path to a downward spiral in not having a successful marriage. Know that it is up to both of you as a team to face your struggles head on, to heal and to make that choice of staying and working together. Did anyone see a theme going on there? Something that each point had in common? Don’t know? Well, it’s communication. Communication is a key component to having a successful relationship. Talking to each other, letting the other know what is going on in your life, discussing the future, creating plans and making decisions. Ask your spouse what they want, for their input or advice. As a wife, always include your husband in any decisions, but let him make the final choice. Husbands, respect your wife’s input and thoughts when making a choice. Listen to each other, hear what the other is saying. Never hold anything back and keep each other in the loop. Communicate, communicate, communicate! I wish you all many blessings and success in your marriage and remember: love always wins. I LOVE the tip on knowing when to pause – I could just see my own life in your description of all the things that need to get done. But, you’re right it’s okay to leave them -they’ll wait for you. Your marriage might not. I love this!!! I hadn’t ever thought about go to bed together. It makes sense though. As a stay at home mom, I was reminded today to also set the temperament for the home. I really enjoyed reading this. I’ve been married 16 years and I feel like I must be doing something right!! We have always gone to bed together. We also work out together. We have an hour of tv time together each night. We built our lives focused on one another! The work on you section was especially true. You’re no good to your spouse if you aren’t in touch with your own needs and evolution. Thank you!! I’ve learned that simply being kind is absolutely essential to marriage! These are all GREAT tips on how to continue with a healthy marriage or partnership. It definitely takes work and working together to keep things happy, and I also very much agree with your tip about focusing on yourself and your own needs. Great post! great tips! they are all important to keep relationship healthy. You made some really valuable points, especially “Work on You”. Most people stop doing that as soon as they’re married. I like the “Keep Dating” part lol its so true. I Love this entire article, thanks for posting and I pray God’s richest blessings on your beautiful union. Great tips! I try to eat with and go to bed at the same time as hubby every day. Its really about doingbthe small things right, you really nailed it! Great tips and since I’m lacking in many of those areas, that might be why my marriage was not successful. This is great! Dating is a little more difficult with kids but I’m trying to buy games so that we can have game/date night at home. I love these tips! 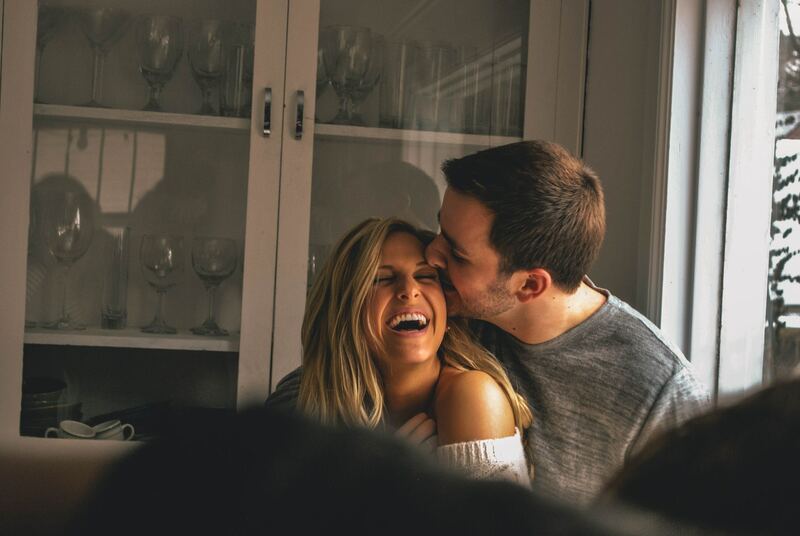 Communication is a HUGE part of being successful in marriage (in any relationship really) and I’ve definitely found that using communication to manage expectations is helpful as well. So true. Such simple things, but sometimes the simple things are the hardest to remember to do! This is such a great list! My husband and I try to do these things everyday but I like your tip about slowing down and just taking some time for us! We can forget to do that sometimes! Thanks for the nice reminder! Great post! And after 25 years of marriage eating meals together as much as possible and communication ARE the most important elements of a successful marriage! I agree completely! I absolutely love these tips! My S/o and I definitely try to do all of the above to maintain a healthy relationship. It’s so important to keep it fresh and alive! Communication is key for me. Love this article! I feel like it’s most important to keep dating your spouse. Life just gets so busy, and we tend to take our stress out on our spouse, rather than helping one another work through the stress. I agree with all of these! Especially the communication, keep dating and laugh! So many parents struggle with the dating part. It isn’t always easy to get away for an actual “date night” but my husband and I can make anything like a date. Even running errands together. And we always make each other laugh! Great tips. We’ve got most of these down (we’ve had some bumpy times throughout the years and we really do work at our relationship). Going to bed together is a BIG issue though. We never seem to be ready to go to bed at the same time so we do have to work on this as it does make a difference. I love these tips. What I wonder is – what about after kids? I know some of these get harder when you add more to your family! I guess I’ll write a post about that once I’m in that situation! Haha! Gratitude and communication should only grow more and more. I personally think this should never depreciate and that spending alone time once in a while when life gets hectic is valuable and important. Thanks for sharing. Some great tips. I think the tip about working on you is so important people forget to do those things especially when they are married, have kids or in a relationship. These are great tips and hard to remember in the heat of an argument. However, so so helpful when put into practice! Absolutely beautiful relationship advice. This is the kind of marriage I aspire to have. I love this! All these tips are spot on! I just shared this on my pinterest because they are really great tips! something very important is laughing with each other about silly things and keep dating always 🙂 great post! love this! marriage is definitely work, but so worth it! i love this so much! so encouraging to read! thanks for writing! Beautiful advice. All of these things are really important, as relationships are hard work and a lot of people don’t realize that anymore. This is an absolutely amazing post, and I couldn’t agree more with all of it! Great advice, this is all so important. Going to bed together is so important to me, and the laughter! So happy to see such a positive ad helpful post! Simple tips that are SO necessary. Thanks for sharing friend! Yes to all of these! Gratitude is something that only takes a minute, but it’s so huge. Working on yourself is a great tip as well! Well rounded pointers! My fave is the bonus…a little communication goes a long way. Wow, you hit the nail right on the head with these simple habits! I am working on my 4th year of marriage and I agree that communication is the common theme that enhances your relationship with your spouse so much! We welcomed our first little one into our family this year and this was a great reminder to keep my spouse first and be sure that we are growing in our relationship together. Yes – lovely tips to be reminded of. Can’t be short on any of them. Oh, these are all such great tips! My favorite is definitely laughing all the time. My husband is great at making me laugh 🙂 and I try to be funny too! All of these are good but my favorite is keep dating. Wow great read thanks! Enjoyed this post! My husband and I will be celebrating our seventh wedding anniversary and so many of these reflect the things that we have come to know and love! Thanks for sharing! 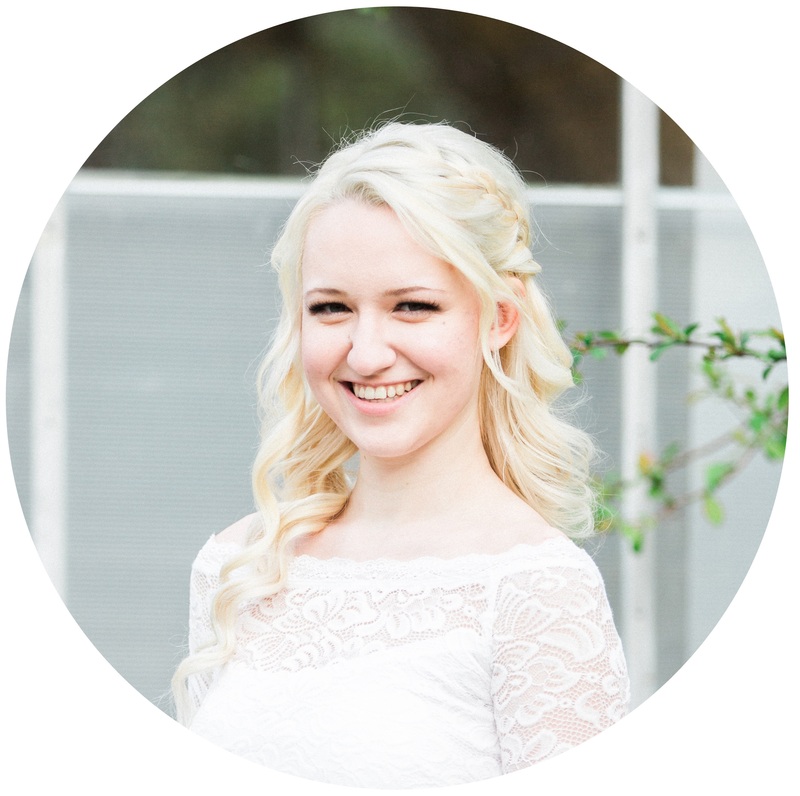 Glad to hear you enjoyed reading my post! 🙂 Aww, congratulations! That’s amazing! I’m so glad you said, “go to bed together.” It really amazes me how many couples do not do this. It’s a huge difference maker in my marriage. That amazes me, too! It’s so important. All very great tips! Keep your love alive. Love these tips! Great advice!